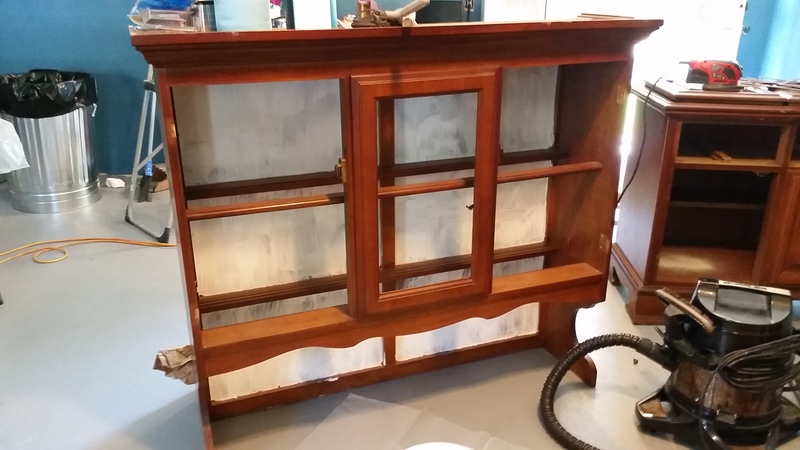 I had decided to refinish this old hutch from the 70’s that had belonged to my husbands grandmother. His mother kept in her house as long as we can remember, so we didn’t want to get rid of it, but it had this orange color to the finish that ws not appealing. 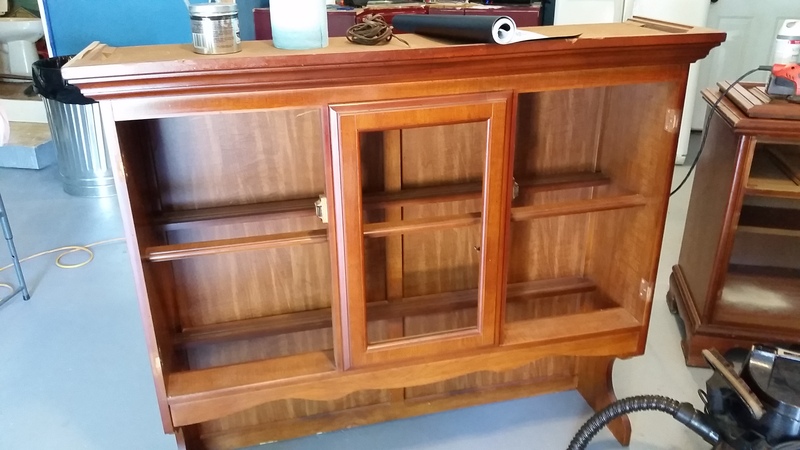 I have refinished some furniture before, like our kitchen table, bathroom cabinets, and some other pieces. 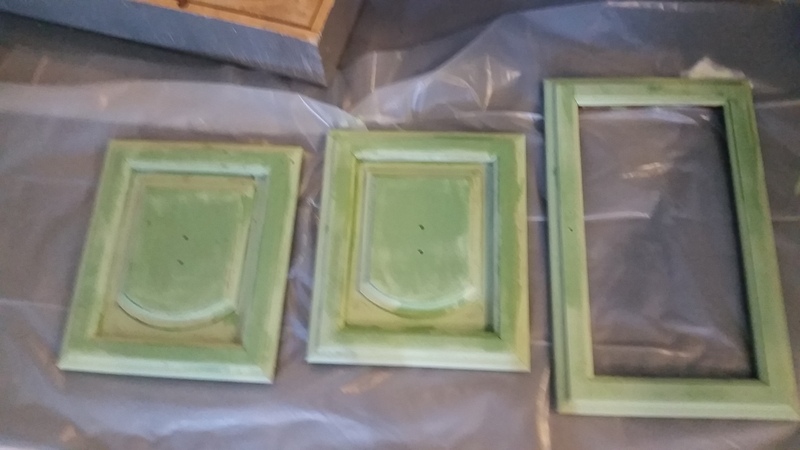 I had gotten pretty good at this old method of using regular ole latex paint and my mouse sander that I bought just for my projects. 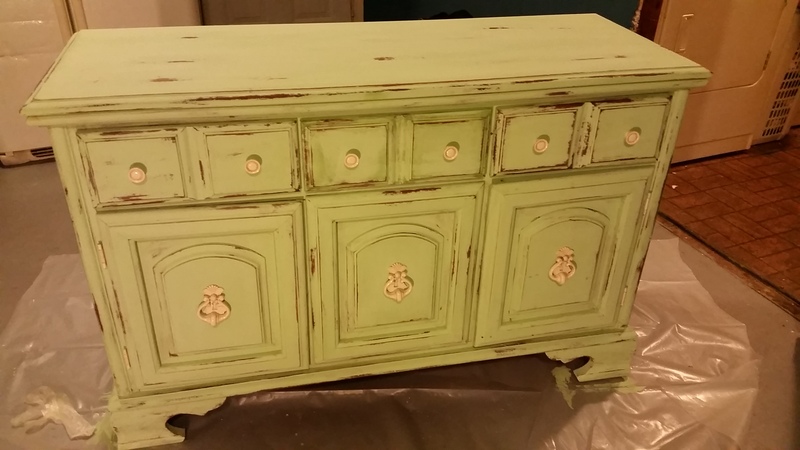 But, after hearing how great this Ce Ce Caldwell chalk paint was from a friend, I decided to go that route for this piece. Supposedly it “sticks to any surface” and can be distressed with a wet washcloth. 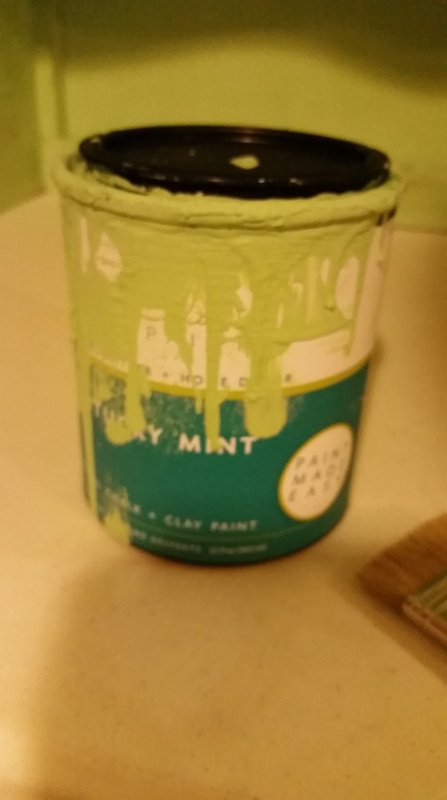 I selected the color Kentucky Mint and also purchased some other color samples, silver cream, aging cream, and finishing wax. I went ahead and lightly sanded the shiny surfaces just cause I like to play with my sander when I can. Then I painted everything green. I decided to paint the inside off white just to make it a little different. So I painted it with a coat of Zinser first because the surface was so dark and I didn’t have much of the Antique white chalk paint. 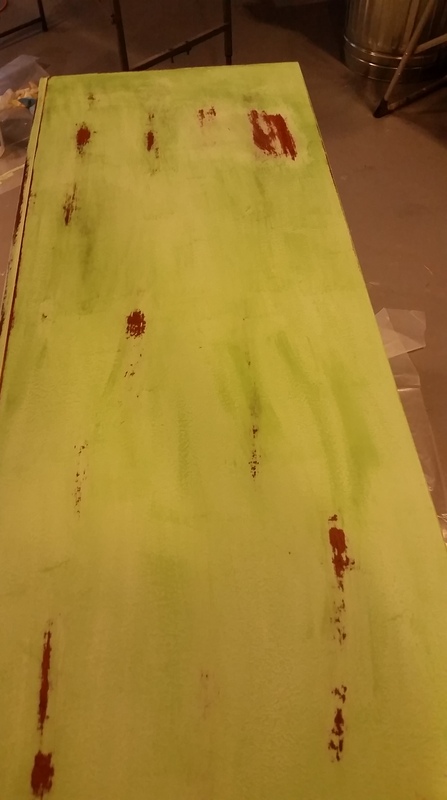 Then I started with the green paint. Most of the piece only took one coat, it dries thicker than it seems when you are putting it on and I actually over painted in some places. I put 2 coats on the flat surfaces like the top and drawer faces. The paint is a chalk base and is very porous when applied. The color also dries a lot lighter than when you first put it on. 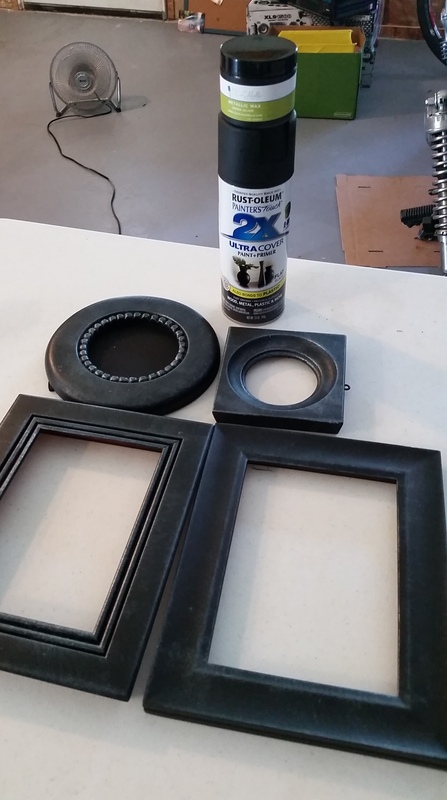 In between coats, while I was waiting, I spray painted some frames black that I had bought at yard sales and then applied the silver wax I bought to give them some depth. That was fun. I also sampled the aging cream, but didn’t like it so I washed it off and started over on this drawer I used to test it. 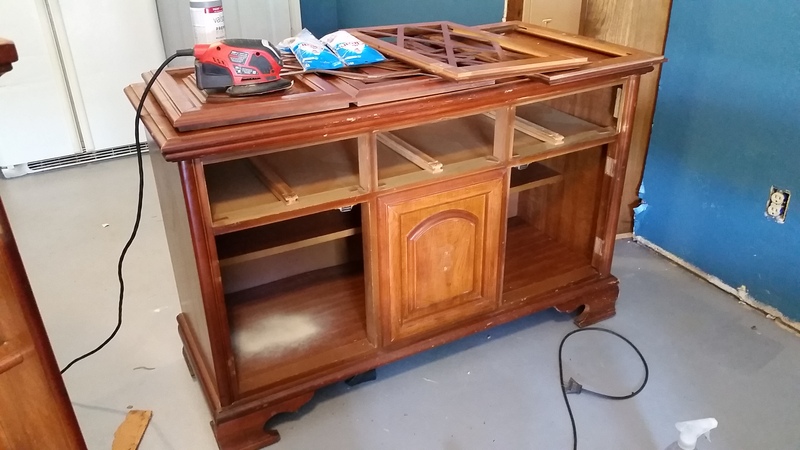 The next step on the hutch was the distressing process which was so easy. 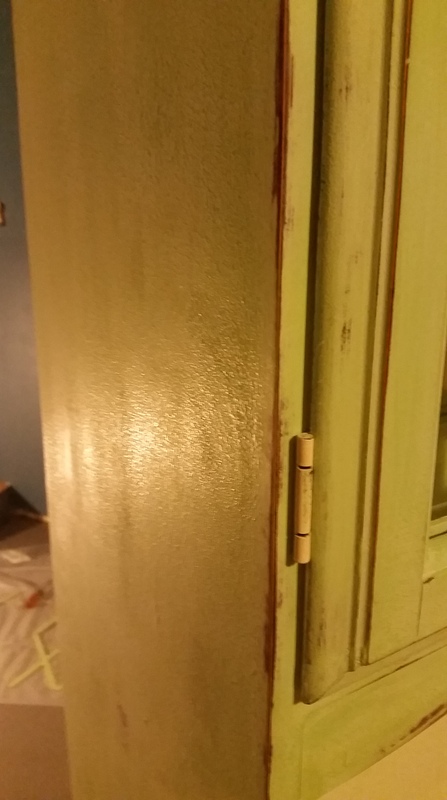 A hot water rag works best and you just start wiping the paint back off. I worked in stages to make sure I didn’t take off too much at one time. It was in this process I figured out I had over-painted in some places, those areas took more work to distress. I finally got the distressed look that I wanted and allowed it to fully dry. 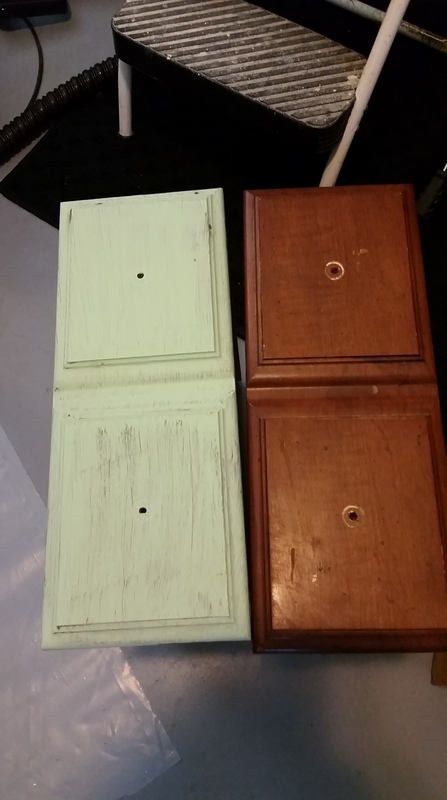 I spray painted the hardware off-white and used the darkening cream to give them an antiqued look. Applying the finishing wax was difficult because I had never done it before. I normally finish with a wipe-on polyurethane. When I first put the wax on, I used too much and it was very splotchy. I kinda panicked and went in and Facebook messaged Cece caldwell paint Co directly. Cece herself messaged me back immediately and said that was normal and it would take a couple of days for the wax to absorb into the wood. I was impressed at the quick response and very relieved! After waiting 24 hours, I went ahead and lightly sanded then lightly reapplied the wax again. Some tips and things that I learned. 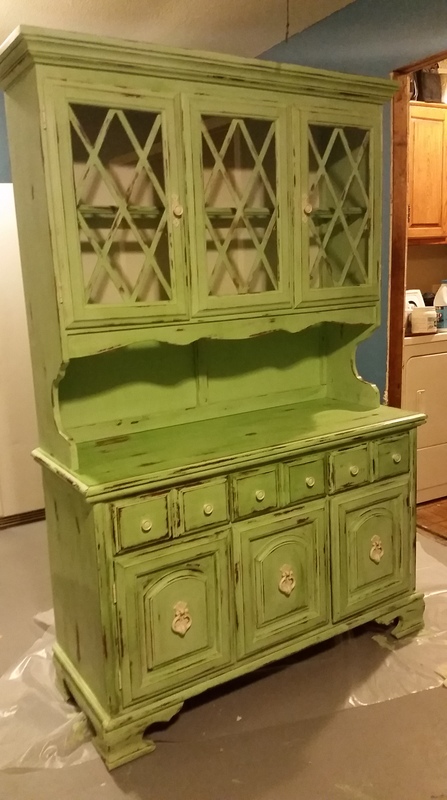 – You can paint your piece with white Zinser primer (or any color), then paint it with chalk paint and distress for a more unique finish or if you don’t like your base color. 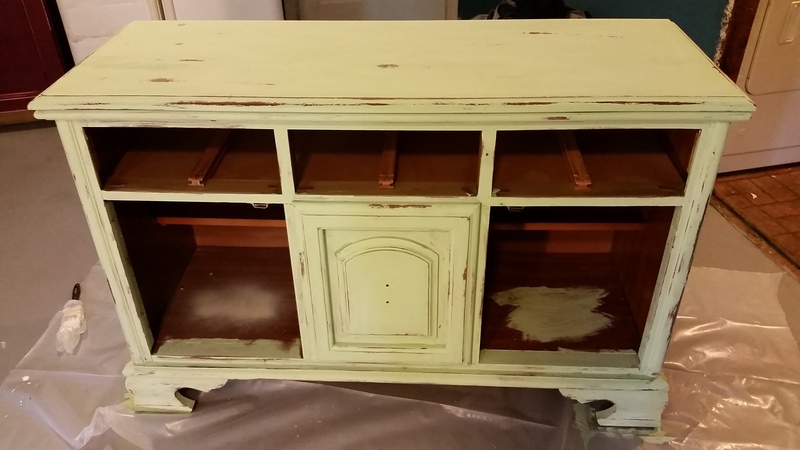 – If you want to heavy distress, it really only takes one coat of chalk paint. 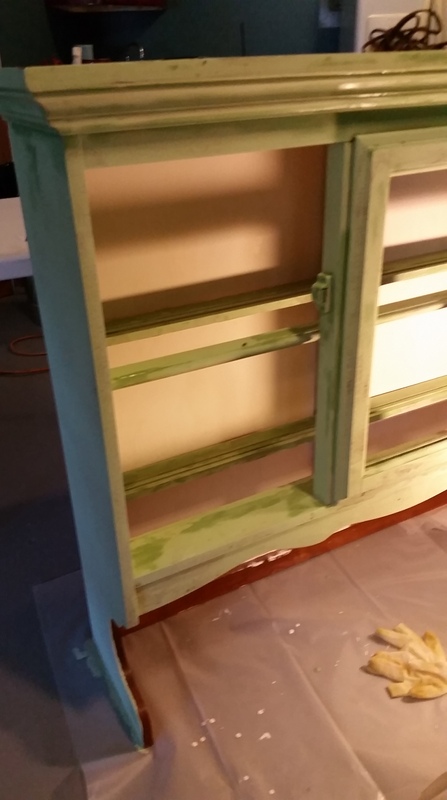 – Chalk paint dries thicker than it first looks going on. – Hot water works best on distressing. – You can distress pretty quickly after painting or wait, it just takes a little more elbow grease later. 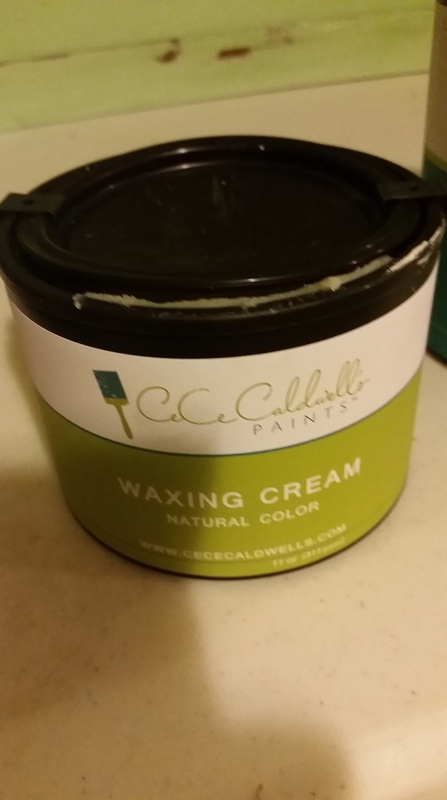 – I used almost an entire quart of Cece Caldwell chalk paint on this project, but I think I overpainted. – Don’t use a roller unless you want texture in the finish. I made that mistake on the outside of this caninet. 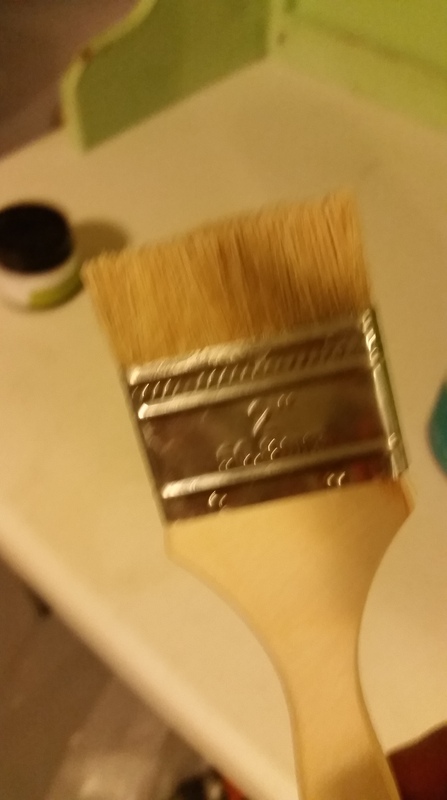 – For me, those cheap chip paint brushes worked great and I don’t feel guilty about just tossing them out after. – Wax needs to go on in a very thin layer. It may not look like anything is getting on there, but you can rub your hand over it and feel the wax. – I used a cheap chip paint brush and cut the bristles off halfway to apply the wax and work it into the corners when needed. – Buff the wax immediately for a shinier finish or you can wait until later. 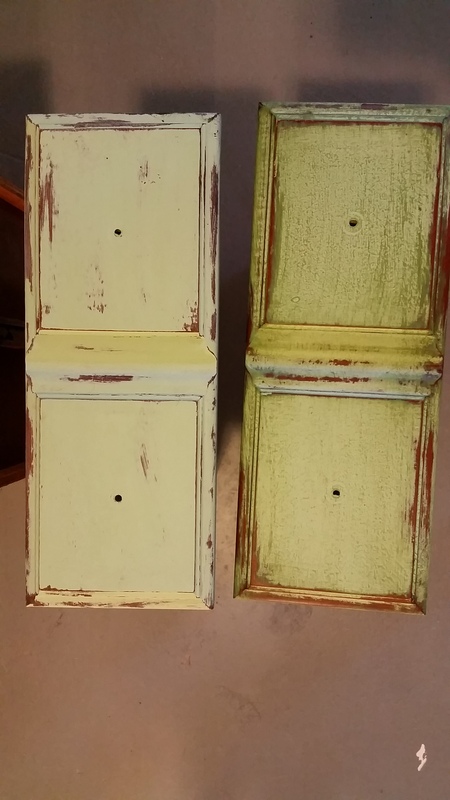 – I have used wipe on poly as my chosen finish in the past, I like it too, but it takes longer to dry and can have a tendency to yellow over time. It works best on darker colors and stains. – You can’t really mess a project like this up, you can re-paint, touch-up, wipe off more, or sand and repaint as needed…I’ve done all of the above. – I removed all of the hardware and spray painted it off-white. 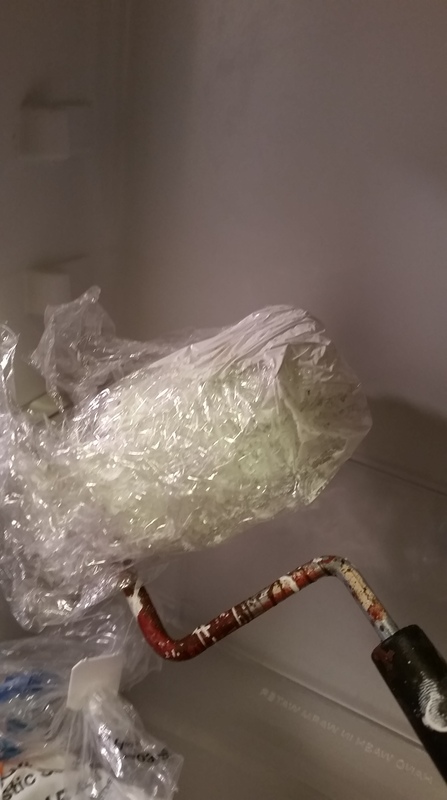 – When I paint, I use plastic wrap to wrap my brushes and rollers and put them in the fridge to reuse, they stay fresh and moist until you are completely finished. This is my finished project, I haven’t moved it into the house yet, but will soon.